Messaging Apps or SMS: Which should you use? If you’re one of the many people who own a smartphone, you may have noticed that many of the most popular apps in the App Store are messaging services – such as Viber, WhatsApp, Skype, Snapchat, or even Facebook Messenger. It’s plain that these are quite different to stock standard SMS, but the big question remains: are they worth your time? Let’s recap: what in the world is SMS? SMS (Short Message Service) is a standardised communication protocol, first implemented in the 1990’s that allows mobile phone users to send messages of up to 160 characters1 to each other. When a user presses send, the encoded message is sent to a Short Message Service Centre (SMSC), which is a network server responsible for receiving and forwarding these messages to their intended recipients. CNN reported in 2012 that 8.6 trillion text messages are sent each year by several billion users around the world – no small number. Despite this, SMS does have a degree of unreliability, with 1-5% of messages never being delivered due to the lower priority text messages are allocated by the SMSC, and possible errors in the transmission to or from the server. SMS remains incredibly popular, which is helped by a global average cost per message of approximately 10 cents, though the most common rate in Australia is 25c per text. How are messaging apps different from SMS? Space – Apps take up room on your devices. More apps will clog up the storage device, and possibly slow it down. Juggling – If you’re managing five different messaging services to keep in touch with various friends and family, you’re just making life hard on yourself. 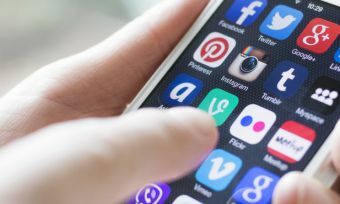 Not all apps are created equal – Some messaging apps are far superior to others, meaning you can unload the ones that may have been popular two years ago that have since fallen out of favour with the general public. Messaging apps tend to be faster at sending and receiving messages due to the lack of an intermediary storage centre – your message simply goes directly to the recipient. Furthermore, the ability of the app’s developer to include any features they choose means that many apps come with built in emoticons and stickers, and can include new features through future updates. On WiFi, you won’t use any data sending messages and VOIP calling your friends. Even when not on WiFi, the small amount of data used per message could conceivably end up being cheaper than SMS, depending on how much your provider charges for data/SMS. WhatsApp: WhatsApp has a massive community, and you can conversations with groups instead of being confined to a single person. Besides this, the app functions similarly to standard SMS phone functionality. Skype: This is one of the older and well established messaging apps. For years, Skype has offered VOIP chat and messaging functionality on desktop computers. Now, you can have the same great tools on your smartphone. iMessage: If you have an iPhone, an iMessage is sent when you have a solid internet connection and the functionality is switched on in your settings. These messages will appear with a blue background, as opposed to the standard green, and are transmitted through the web versus carrier towers. Are there any downsides to messaging apps? If you aren’t in an area serviced by 3G, 2G, or any other form of mobile internet reception, you’re in trouble. SMS, on the other hand, is more likely to be covered under carrier cell towers. You may also find that app developers don’t update their apps, or even provide a version of the app for your particular device. Which service should I utilise? Choosing between SMS or data to text someone is really dependent on the structure of you mobile phone plan, and if you have frequent WiFi / internet access. If you have a lot of included calling and texting credit, or low costs per message, then SMS is probably the better option – as it is consistently reliable thanks to network infrastructure built over several decades. The obvious solution is to utilise both though. The increased speed and extra versatility make messaging apps an appealing option for smartphone owners everywhere; especially given the number you have to choose from. Smartphones are tools that allow you to stay connected to your friends and family wherever you are: messaging apps are just another link in this chain. 1 On most modern phones, you can type past the 160 character limit, but will be charged for multiple sms messages.